Hot décor accessories that oughta be in (social media) pictures. Whether you want to add some Instagram-friendly elements to your home or are looking for a housewarming gift for a super-stylish friend, these hot décor accessories are sure to get hearts all around. Juniper Ridge Large White Sage Smudge Bundle ($11 at juniperridge.com). Sage bundles are traditionally burned to rid a space of negative energy, but the Seattle company’s bundles are a sweet, aromatic accessory to keep intact in the kitchen or bath. Overose Valkiria Candle ($58 at thestell.com). With notes of fig, peach and sweet tobacco, you’ll want to light this candle every day. And when it’s done, the millennial-pink glass can be reused to hold desk or bath accessories. West Elm Modern Watering Can ($69). 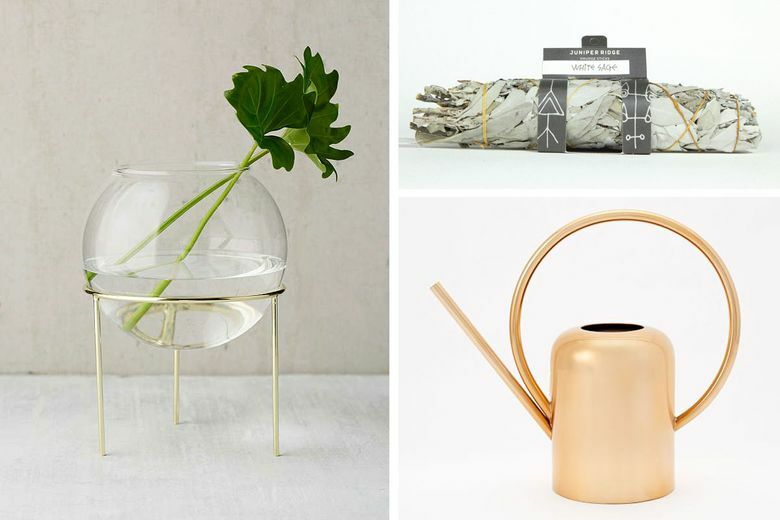 Indoor plants are trending; make tending to them simple and chic with this elegant, copper-colored watering can that is so pretty it can double as a vase or sit out on a counter with no shame. Chaparral Studio Vanquish Bad Vibes Fluorite Pyramid ($24 at otherwild.com). 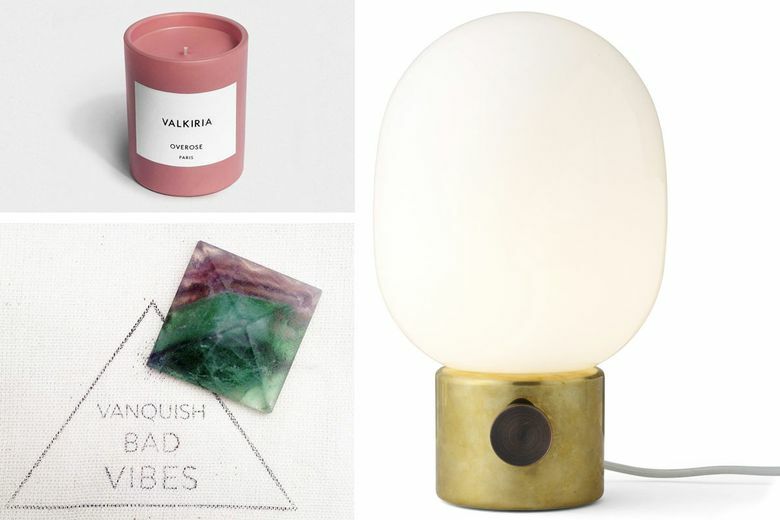 Crystals are on fire right now, bringing good vibes and a bohemian flavor to décor. This petite version can nestle on a desk or coffee table, and looks great in a grouping. Ida Glass Globe Planter + Tripod Stand ($34 at urbanoutfitters.com). Interesting and unexpected plant holders are still the rage, and this round option is minimalist-cool. Add cut flowers or an air plant, or show off a plant’s usually hidden root structure in the glass bowl. Menu JWDA Polished Lamp ($150–$225 at aplusrstore.com). Add some midcentury-modern cool to any room in the house with this dimmable lamp inspired by gas lights. A milky opal glass shade and frosted bulb give off a soft, flattering light, while a brass or stainless steel base adds a pop of interest.